The Journal offers inspiring and informative articles and verified reports of healing. Monthly issues also contain a worldwide directory of branch churches, Reading Rooms, Christian Science practitioners, teachers, and nurses. 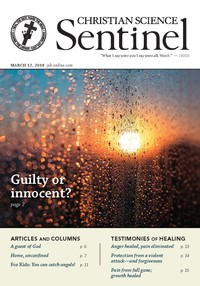 The weekly Sentinel watches the events and emerging trends that most affect people’s lives. Articles, editorials, and firsthand accounts of healing show in practical terms how Christian Science can bring healing to any situation. The Herald is published in 13 languages, giving readers around the world practical examples of the avail- ability and utility of the laws of God. The Monitor was founded by Mary Baker Eddy in 1908 as an international daily newspaper which offers dependable journalism and balanced, in-depth news coverage. 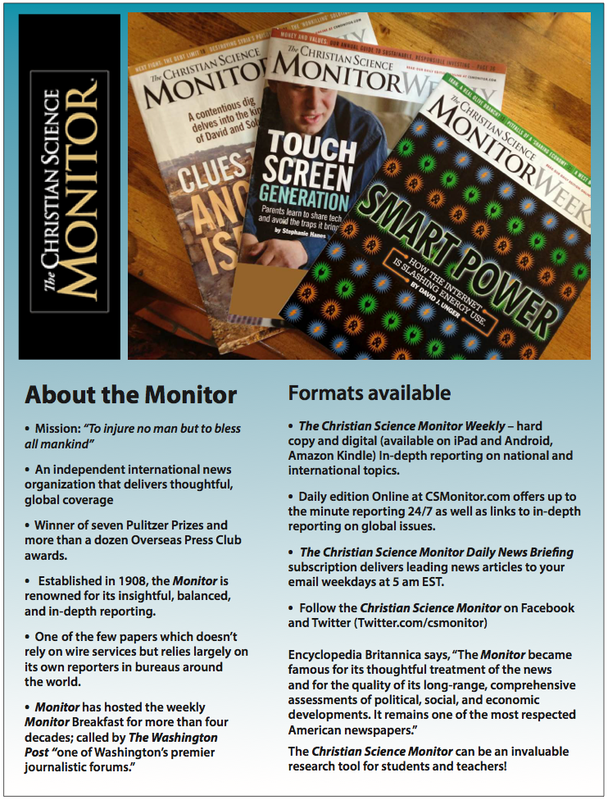 The daily edition of the Monitor may be read on line at csmonitor.com. The Christian Science Monitor Weekly magazine may be purchased at the Christian Science Reading Room. Various subscriptions are also available.